The national character of the Québécois has been diluted by the Quiet Revolution from an ethnic to a civic identity open to all immigrants willing to "assimilate". Still, ethnic nationalism continues to exist implicitly. By recognizing that Quebecers form a nation within Canada in November 2006, Stephen Harper was merely acknowledging the fact that Quebecers are different from the rest of Canadians. Of course we differ from Canadians by the language we speak, our religion, our culture, but more importantly by our different outlook towards society. Quebec has always been, until recently, a homogeneous society. The French-speaking population of Quebec grew almost entirely, from the earliest settlements in the 17th century until about the 1950s, through a high fertility rate, not through immigration. Our people developed a strong ethnocentrism due to our threatened existence as a minority in an overwhelmingly Anglo-Saxon continent. Since the Conquest of 1760, our people evolved closely knitted, conscious of their own ethnic and cultural interests and identity. The Catholic clergy defended French interests, both ethnic and cultural, and promoted a strong identity. 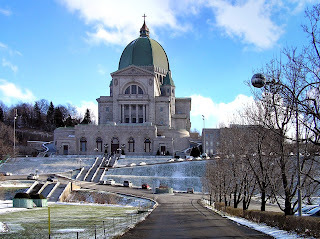 Aware of the importance of demographics, priests encouraged French Canadians to prolific and have as many children as possible in order to ensure our survival as a people. Renowned French Canadian thinkers like Canon Lionel Groulx and Robert Rumilly, who are still taught, defended a traditional society based on the defence of the "French Canadian race". 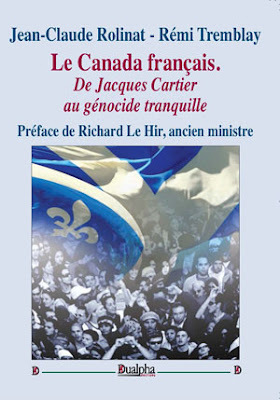 While French Canadian nationalism was originally ethnic, religious and linguistic, Québécois neo-nationalism is reduced to linguistic, civic and provincialist characteristics. The 60's were a time of change with Pope John XXIII calling the Second Vatican Council in order to modernize the Church. 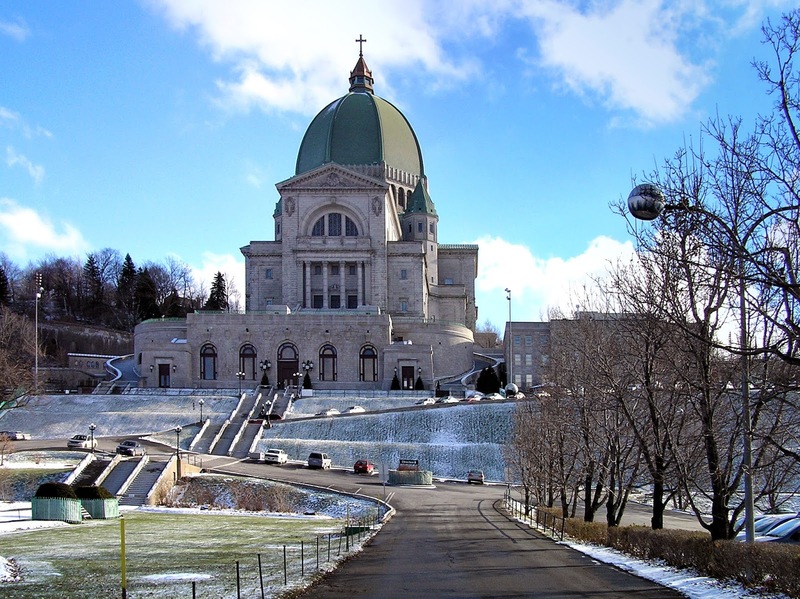 This had a devastating effect on Catholic Quebec. The leftist uprising of May 68 in France and the rise of the New Left in America also contributed to the destruction of the traditionalist way of life of French Canadians. Quebec went through its own Quiet Revolution, a revolution that changed our very nature. Today what is remembered is that most of our institutions (schools, hospitals, social services) were transferred from the Church to the government. If this secularization has had enormous effects on our society, the deepest change brought about by the Quiet Revolution was a redefining of our identity. 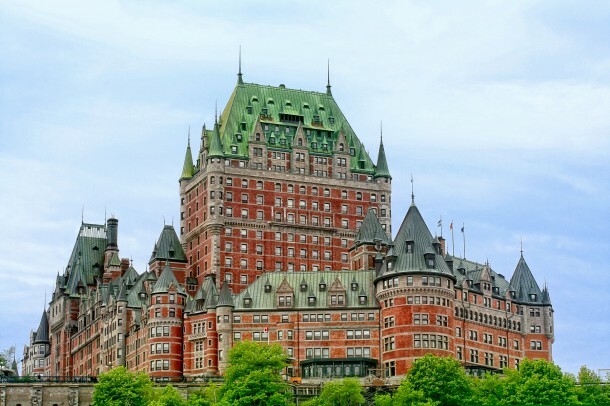 The term French Canadian, an exclusive ethnic term, was transformed to Quebecois, an inclusive term encompassing anyone living in the territory of Quebec. While pre-60's nationalism was ethnic, religious and linguistic, with the promotion of strong links with outside of Quebec French Canadians, the neo-nationalism of the Quiet Revolution had become linguistic, civic and provincialist. We were not an ethnic group anymore, but rather a nation with a given territory and its own administration. That new definition of who we were not only had a huge impact on our view of ourselves, but also had a great impact on French Canadians in the other provinces. While we used to stand up to defend minority rights in different provinces, our new provincialist agenda made our government defend other provinces that wanted to deny rights to their French minority. Not being French Canadians anymore, but inhabitants of the province of Quebec, we wanted to support more provincial autonomy even if that meant abandoning our former brothers. This neo-nationalism has become the norm nowadays, although ethnic nationalism is still very present, although only implicitly. While the media has adopted political correctness as its credo, some mainstream columnists like Mathieu Bock-Côté and Gilles Proulx openly advocate the defense of our ethnic identity and interests, something that is yet to be seen in the rest of Canada. In Quebec, multiculturalism is universally despised and is seen as a Canadian way to crush our people. The opposition to multiculturalism is so great that the Liberal government and pseudo-intellectuals Charles Taylor and Gérard Bouchard decided to invent our own form of diversity à la québécoise; interculturalism. Needless to say that interculturalism is an even worse model of society than multiculturalism, as it does not even allow our culture to exist as it is, but forces it to change and adapt to new immigrants. This new model has so far worked to convince many Quebecois who honestly believe it is an assimilationist model of integration. Because it must be said, promoters of interculturalism try never to define or explain what it is about and simply state that it is the model best suited for Quebecers. This dishonest marketing strategy based on people's ignorance has worked to a certain extent, but many still openly reject diversity. Many Quebecois do not reject racial diversity openly but reject cultural diversity, asking for total assimilation of newcomers. This has been shown with the quasi-universal rejection of religious accommodations, the calls for secularism in public institutions, the demands to strengthen language protection laws, etc. In fact, beneath these campaigns lies an implicit ethnic nationalism. Indeed, how else could we explain the fact that some secularist activists advocate the banning of Muslim veil from public places while defending the crucifix at the Parliament? Implicit ethnic nationalism and rejection of immigration is common among Quebecois and especially among separatists, including mainstream separatist public figures. For many Quebec independentists, the loss of the 1995 referendum was caused by immigrants, a position clearly stated by Premier Jacques Parizeau at that time. Even recently, media mogul and leader of Parti Québécois Pierre-Karl Péladeau stated that because of immigration, "we're losing a riding every year". Despite his public apologies following this honest comment, this idea that immigration is an obstacle to our independence and to the survival of our people, language and culture is still prevalent among separatists. Of course, some neo-nationalist leaders try to appeal to immigrants, like Mario Beaulieu, leader of the Bloc Québécois, but this strategy has not worked despite decades of trying. These neo-nationalists consciously decide to sacrifice their cause and the defense of their interests in order to conform to political correctness. Today a majority of Quebecers openly reject Islam. The announcement of the Liberal government about increased levels of immigration recently caused a public outcry. Pierre-Karl Péladeau, a charismatic leader who is closer to traditional nationalism than neo-nationalism, could awaken Quebec's underlying ethnic nationalism, but it is yet to be seen. Like in the rest of North America and Western Europe, political correctness is still very powerful and makes many adopt positions that clash with their own self-interests.